It wasn’t always pretty and it wasn’t how coach Steve Wojciechowski drew it up. 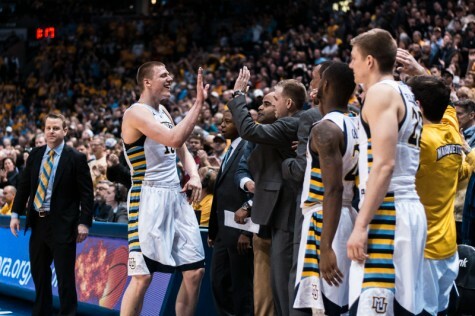 But the Golden Eagles squeezed out a victory, and Wojciechowski will take them anyway they come. 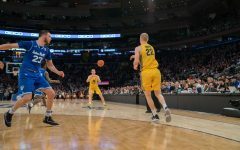 Graduate student Matt Carlino hit a contested three with 10 seconds to go, and Marquette stopped two Bluejays chances in the waining seconds with a defensive stand to beat Creighton 53-52. After receiving the pass on the right side from senior Derrick Wilson, Carlino shuffled to center court. Two players had their hands in his vicinity, but it was not enough to prevent its near perfect trajectory. Freshman Toby Hegner hung up a hook shot in the final seconds and Creighton got one last opportunity on the rebound, but was unable to capitalize. 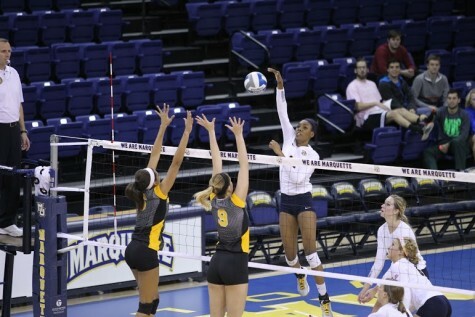 Marquette earned its 10th victory of the season with the win, moving its record to 10-6 and 2-2 in conference play. The Bluejays remain winless through five Big East games, posting a 9-9 overall record. 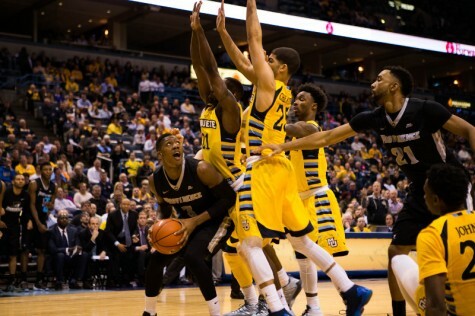 It was apparent both teams are toward the bottom of the Big East conference on numerous occasions. 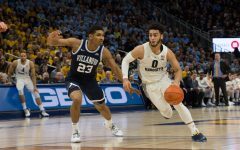 Each side weathered long cold streaks, including 15 straight missed shots for Creighton late in the first half and a stretch of more than 10 minutes without a field goal for Marquette in the second. However, neither side was able to take advantage of the other’s follies. 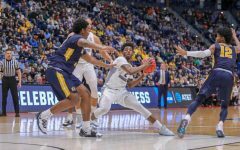 Marquette began to pull away in the middle of the first half, despite failing to hit a jump shot in the first three minutes and missing its first five three-point opportunities. Four straight unanswered 3-pointers, including two surprise shots by Derrick Wilson, propelled Marquette to a 21-11 lead with eight minutes left in the first half. Creighton did its homework on Marquette and tried to drive the lane early on, but were defended rather well. The Bluejays transitioned toward a 3-point offense, but were unsuccessful from beyond the arc as well. The team finished just more than 25 percent from behind the arc. 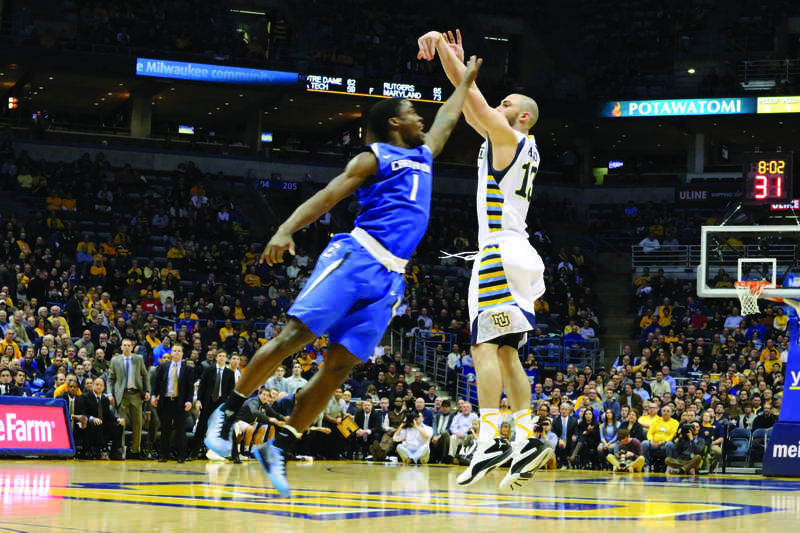 However, Marquette’s offensive output began to slow down, allowing the Bluejays to diminish the margin. Creighton’s interior passing created chances for the Bluejays, allowing them to slowly claw their way back. 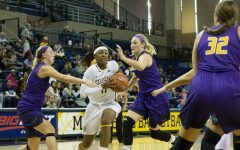 A seven-point lead for Marquette turned into a three-point lead, then suddenly a one-point game when a layup by junior Avery Dingman made it 41-40. It appeared things were coming apart mentally for the Golden Eagles. Sophomore Jujuan Johnson missed both his free throws the possession after junior Devin Brooks gave the Bluejays a 42-41 lead. 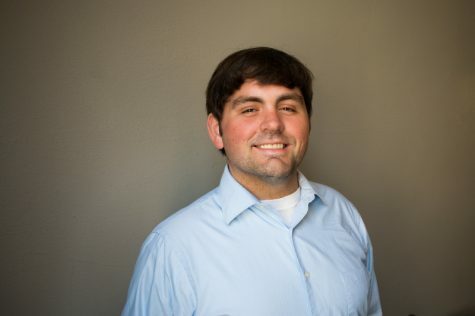 Derrick Wilson was charged with a five-second violation a few minutes later. 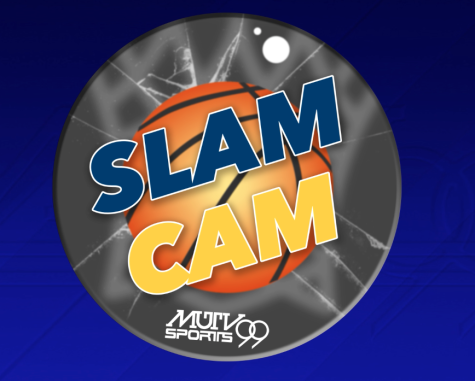 Both sides exchanged blows in the final minutes, but two threes by Isaiah Zierden and Rick Kreklow made it a six-point game at the two-minute mark. Carlino hit the first of his two clutch shots on the following possession, a fadeaway jumper to keep it a one-score game. A travel call on Artino with 20 seconds left gave the Golden Eagles the final shot. 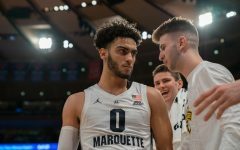 Wojciechowski called one final timeout to set up the play that would make the Marquette faithful forget the frustrations of the previous two hours. When the final buzzer sounded, the referees kept both teams on the court to confirm Carlino was in fact behind the line. He was. 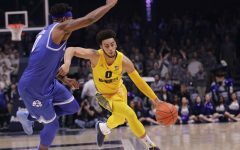 It was the cherry on top of a strong second half for Marquette’s guards, Carlino and redshirt freshman Duane Wilson, who combined for all 25 of Marquette’s second half points. Carlino finished with a team-leading 19 points, with Duane two points behind him. 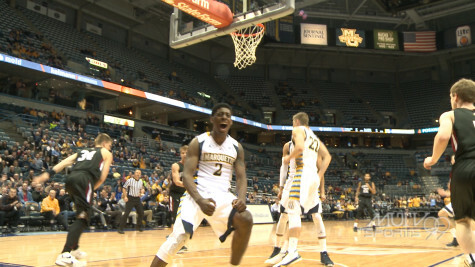 No other Marquette player had more than six points. Both sides shot well under 50 percent, with Marquette shooting 41.9 percent and Creighton 36.4 percent. 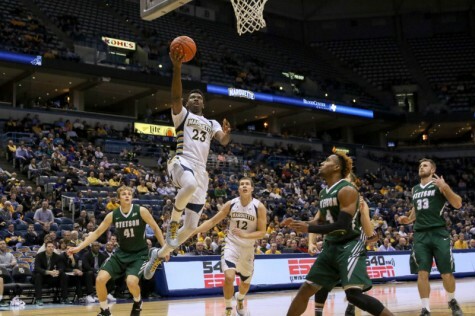 Marquette shot better from 3-point range than they did from two by just more than three percent. Sophomore Luke Fischer had a quiet game for the Golden Eagles, who only scored the team’s first basket of the night. Creighton senior center Will Artino had a strong night defending him around the rim. Despite the shortcomings, Wojciechowski said he believes another close victory is good experience for the young squad. Print story by Jack Goods, Video filmed by Grant Becker & edited by Michael Cianciolo, Audio by Chris Linskens, Michael Beiermeister, Michael Cianciolo.